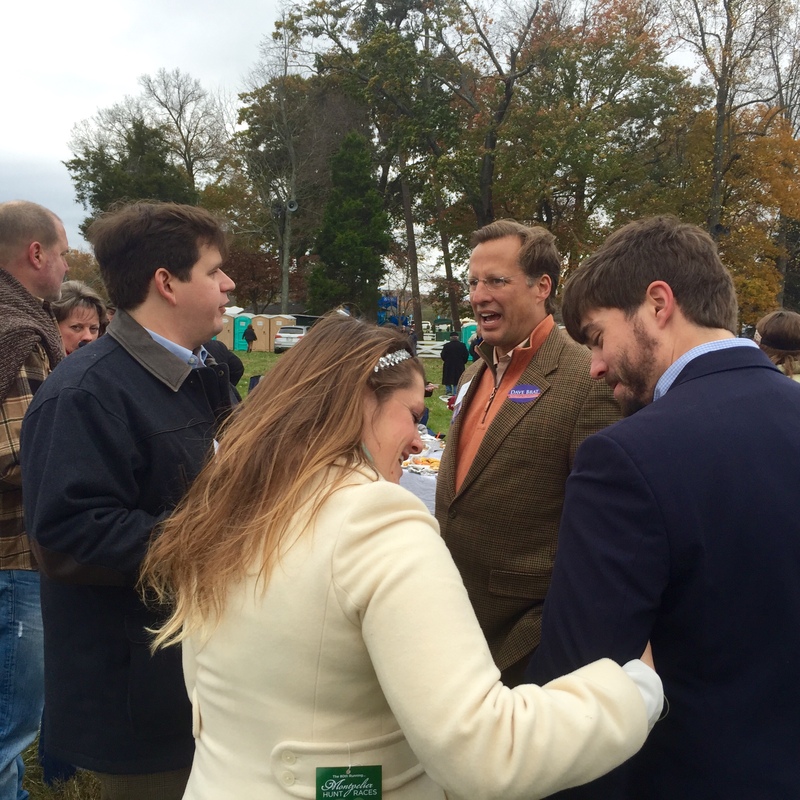 Dave Brat (c) at Hunt Race in Orange, VA. Yesterday Congressman-elect Dave Brat hosted a ‘thank you’ luncheon for all of the people who worked tirelessly to get him elected. I was somewhat in awe when I looked around the room and didn’t see any of the usual professional political operatives that I’ve seen in campaign after campaign in Virginia. Instead there were former members and founders of the Richmond Tea Party, Mechanicsville TP, Patrick Henry TP, Orange County TP, Culpeper TP, etc. It struck me as quite a remarkable feat that this disparate group of volunteers (political neophytes a mere five years ago for the most part who began to find their voices and coalesce as the Tea Parties were getting started), could not only unseat House Majority Leader Eric Cantor, but get a non-politician elected to the House of Representatives. Dave Brat is an Economics and Ethics professor at Randolph Macon College. Of course, most of the credit goes to the candidate, who is very solid philosophically, is very engaging and truly enjoys talking to people. Most candidates engage reluctantly, but Dave charges through the crowd and the rest of us have to scramble just to keep up. Also, Dave worked extremely hard to win over Cantor supporters who were very skeptical of him and brought in most of the establishment types. Tomorrow I head up to Capitol Hill for Dave’s swearing in ceremony with a lot of those same people to witness the culmination of this epic story. It’s been quite a phenomenon to behold. This campaign is the definition of grass roots.